During Women’s History Month the UW can be proud of our legacy in educating and empowering women. Little more than a century ago, still four years before American women would achieve universal suffrage, a onetime University of Washington graduate student, Jeannette Rankin, became the first woman elected to the U.S. House of Representatives. Rankin, a Montana Republican and devoted pacifist, was instrumental in passing the legislation that ultimately became the 19th Amendment, extending the vote to women across the nation in 1920. It was here, at the UW, that she first found her calling. 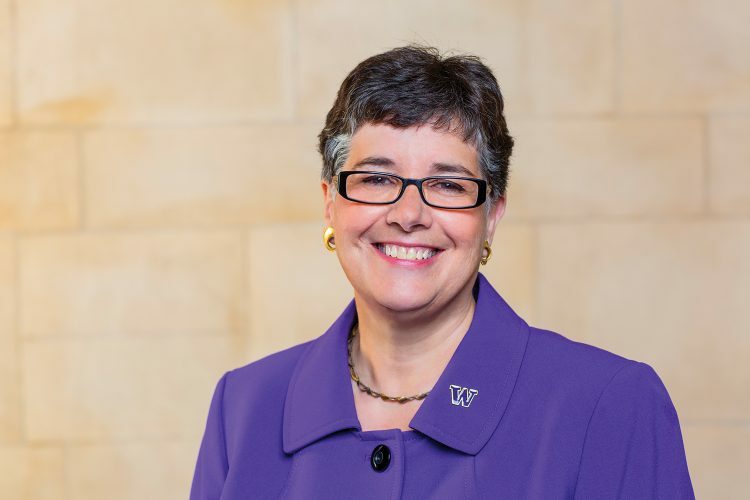 Rankin came to Seattle to work at a home for needy children, but enrolled at the UW to learn more about the policymaking that affected those children. Here, she discovered the College Equal Suffrage League and was encouraged to join by Adella Parker, a UW Law graduate. Soon she was taking an active role in Seattle’s campaign for women’s suffrage, and in 1910, Washington became the fifth state in the nation to give women the right to vote. March is Women’s History Month and an opportunity to honor and learn about women’s achievements. In that spirit, the UW can be proud of our legacy in educating and empowering women: from our University’s very first graduate, Clara McCarty Wilt, to former U.S. Secretary of the Interior Sally Jewell; from Nobel Laureate Linda Buck to National Medal of Science winner Dr. Mary-Claire King. Now, as many people and industries are taking a hard look at how women are treated in the workplace and other parts of public life, we at the UW not only have the opportunity to celebrate the achievements of our students, faculty, staff and alumnae, but we also have the duty to ask ourselves how we can amplify and encourage the success of women and all who have been underrepresented in our communities. Taking an unequivocal stance against discrimination, harassment and assault is certainly a precondition. But it also means expanding the representation of women in leadership. Women are well represented in our state’s congressional delegation: both our senators are women, as are four of our 10 House members. But more women, including women of color, are needed in both major parties if we are to work together across the aisle and across political divides for the common good. increased representation of women and people of color among student and faculty leadership. Seven out of 19 deans are women, including two women of color. Our athletic director Jen Cohen is the only female AD in the Pac-12. And our alumnae are making an impact everywhere, from Seattle Central College President Sheila Edwards Lange, to the celebrated sculptor Alyson Shotz, to our four female regents, Kristianne Blake, Joanne Harrell, Constance Rice and student regent Jaron Reed Goddard. For the second year in a row, our Faculty Senate chair is a woman. In the STEM fields, where women have historically been underrepresented, they now make up 42 percent of our undergraduate majors, nearly double the number enrolled in those fields a decade ago. These are positive signs of the direction we’re headed, and it’s vital that we continue on this path because diversity and inclusion aren’t just a question of who is in the room, but of who is speaking—and who is being heard. At the UW, we work and aspire to put that belief into practice in our labs and classrooms, through the work of the UW Women’s Center and the Alené Moris NEW Leadership program, and in every setting. We also dedicate ourselves to educating the next generation of leaders in a wide range of fields because education is the most powerful tool we know of to increase equity and inclusivity. Jeannette Rankin knew this, too. She bequeathed her estate to a scholarship fund for low-income women students 35 and older. To date, the Jeannette Rankin Women’s Scholarship Fund has supported more than 1,000 women as they pursued their dreams. Education changed Rankin’s life, and with that education, she changed the course of history. So thank you for all that you do in partnership with the UW to change so many lives. Your support can make history.